We can all agree that this isn't the MOST innovative remix… all 4 looks are similar- with A line skirts (either midi or mini) and with a print. However, they all have a different vibe…right? Which look is your favorite? Este remix definitivamente no es el más innovador que he hecho…los 4 looks se parecen- con faldas en A (mini o midi) y de estampado. Pero de todas manera siento que cada look tiene una vibra totalmente distinta. ¿Qué look es tu favorito? I love it with the midi skirts! Love the styling, the daisy midi skirt is gorgeous. all so cute! would love for you to check out my long sleeve crop top look just posted it monday! Great outfits! 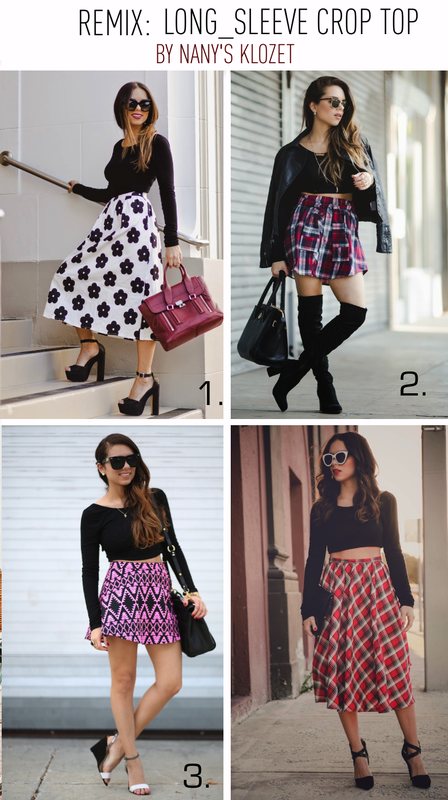 My favorites are the two with the midi skirts! I have always loved your remixes! !